Discussion in 'Pokémon Generation IV Discussion' started by Wednesdayz, Feb 2, 2017. Diamond and Pearl introduced the Poketch device: What is your favorite app on the Poketch? Please explain your choice(s) a little. I myself used the Digital Clock app most of the time when I wasn't using another app, so by default, that was my favorite one lol. The Dowsing Machine, for, well, obvious reason I guess. Really useful when looking for hidden items. Others apps are useful certain times in the game (like I used the history app when I was trying to catch all 26 letters of the Unown, and the Friendship Checker app occasionally when training my Budew), but the Dowsing Machine I use pretty much anywhere. So... yeah. It's my default app. My favorite Pokétech app is the Dowsing Machine. It's quite useful for finding hidden items. Digital Clock. I always used it to check and keep track of time when I wasn't using another app. Pedometer. Very useful for keeping track of how many steps you had left to walk while recharging the VS. Seeker. Friendship Checker. Great way to check the Friendship levels of Pokemon that evolve through Friendship. Day Care Checker. I used it while breeding to check when Eggs were created. Marking Map. Very good for chasing down roaming legends, and marking places on the map if there were some areas where I had unfinished business to take care of later on. Dowsing Machine. Used it a few times to find hidden items, but it wasn't that often. I prefer the Dowsing Machines in Gen 5 and HG/SS. Berry Searcher. Useful for planting berries, but I pretty much never planted any berries in these games, so it wasn't that useful. Counter. I have heard that many players use this for counting EVs, but I just used my traditional pen and paper for that instead. Analogue Clock. I prefer the Digital Clock since it shows time more accurately. Coin Flip. I used it sometimes if I couldn't make a choice on my own, and for comfirming my seed while RNGing. Colour Changer. Used it to change the Poketch color to blue, but that's about it. I loved many of the Poketch apps, but my favourite was always the Digital Clock. I found it vital for keeping track of the time when playing back in the Gen 4 days since I rarely had a clock near me when I played back then. Also have to mention the Marking Map. It made searching for roaming legendaries so much easier compared to other games. Loved being able to easily see the location of the Pokemon on the bottom screen. Well I used the Friendship Checker app alot cuz it was helpful when I was trying to raise a Pokemon's happiness rating, but my favourite app was the Berry Finder app cuz I used to grow tons of berries in Pearl and I liked the convenience hee hee. I used to use the egg/daycare Poketch app a lot while breeding in Platinum, but other than that, I used the digital clock app the most since it was always first. I don't think I have a favourite app honestly. It's a feature that I didn't use aside from the daycare app. I used the pedometer the most, usually for hatching eggs and for the VS Seeker. It made the process for those a lot easier. Pedometer and Day-Care Checker are both great for breeding purposes, and Dowsing Machine is also convenient(although not nearly as good as its Generation V counterpart). Marking Map is useful for tracking down roaming legendaries, Friendship Checker lets you learn about your party members' friendship without visiting the rater, and Berry Checker shows you the location of Berries you might have missed. I definitely used the Digital Watch the most, because I like knowing what time it is. Just the map really, and the coin flip, just so I could have a Magikarp on my screen. 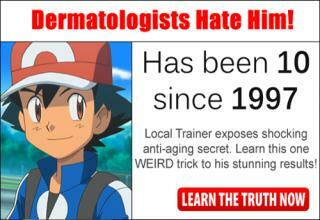 I did use the DayCare one rather often though. The Counter App is my favorite cuz it's handy for EV Training. 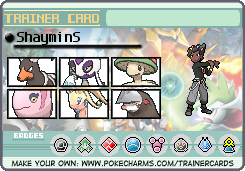 I also like the Matchup Checker cuz it's useful for breeding. I loved using the pedometer for these purposes, too. I especially liked being able to see exactly how many steps it took for an egg to hatch. Another app I liked was the memo pad. I rarely used it for notes, but I liked drawing on it when I was bored. The pedometer was somewhat useful, although I depended on the digital clock the most since it was the default app and was good simply for quickly checking the time. I used the Digital Clock most of the time. However, I liked the Memo Pad quite a bit. I used to like doodling in it despite me not having a lot of space on it. Besides, I could jot down notes so I wouldn't forget what I wanted to do later. I found the Memo Pad to be one of the most redundant Poketch apps, personally. If I had something important that I had to quickly jot down, I simply used paper. Only the Kitchen Timer app was more useless in my view. Digital Clock, so I can know what time is it. I recently got the Color Change app in Platinum version, and I love it. It's so simple, yet it's the only Poketch app that allows us to customize the device. I just wish it wasn't so tedious to obtain.